I’ve had a whopping seven week break since my last class, but Christmas and all its preparation and excitement meant I didn’t do much work over the holiday period. I did, however, finish making my paper pattern, with all the seam allowances and correct markings. 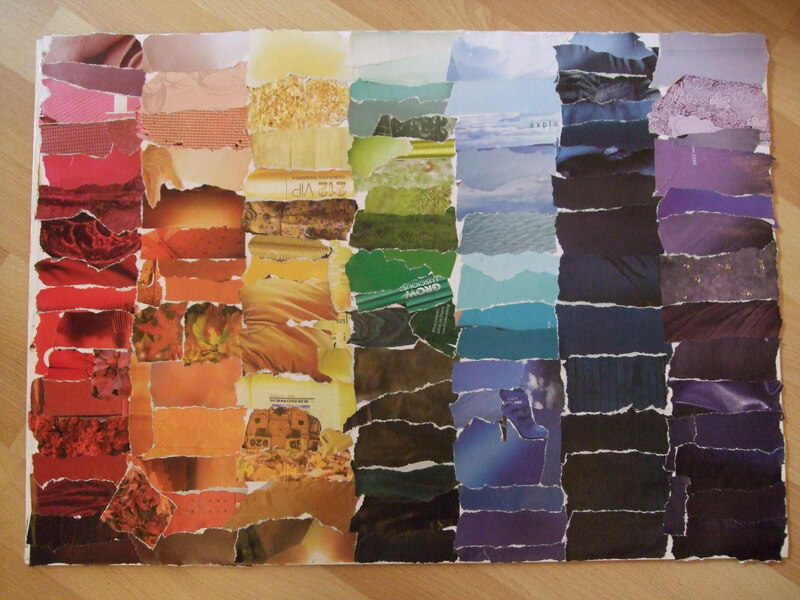 I had made a few mistakes which I was able to correct, and now I am ready to cut the fabric. I also updated my style file over the holiday, and am now collecting images for SS11, which is pretty exciting. It looks as though blue is going to be a very popular colour this summer, which means my Colette Crepe dress for Gertie’s sewalong will be even better (I’ve only just finished making my muslin for that though!). In week 11’s class we were all focusing on our embellishments. 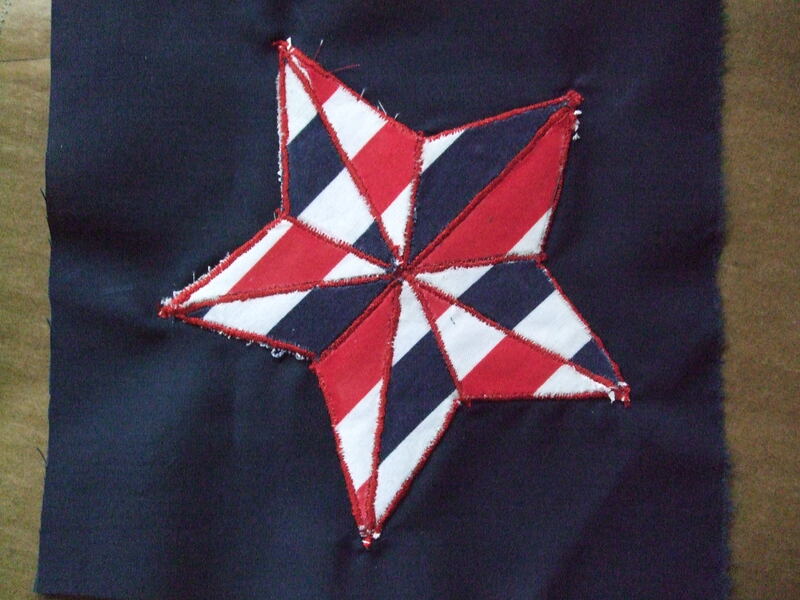 I had previously made up some nautical stars in different patterns by gluing bits of fabric to paper and then cutting the stars out and placing them on scraps of red or navy fabric. I took a couple of these in the lesson and thought about how I would achieve the finished look. I’ve only ever done appliqué once before when I made my sister-in-law’s classroom bunting, but I did it the easy way; I used bondaweb and I didn’t topstitch. That method is fine for bunting, but for a skirt which I intend to wear and wash, this method would not be suitable as the raw edges would fray and I don’t think the bondaweb would be enough on its own to keep the small parts of the stars attached. So, I used the lesson to mess around with some zigzag stitching of different widths to stitch over the top of the stars, which would stop the edges from fraying and would keep each piece of material in place. I tried different stitch widths, first just around the edges of the star. As you can see, I didn't always line it up perfectly, but this is just a test. I think I will stick with red thread because the main colour of my skirt is navy and red is the contrast colour. I’m looking forward to seeing how it turns out! On this star I used the narrower zigzag stitching to divide each section of the star whilst simultaneously finishing the raw edges. 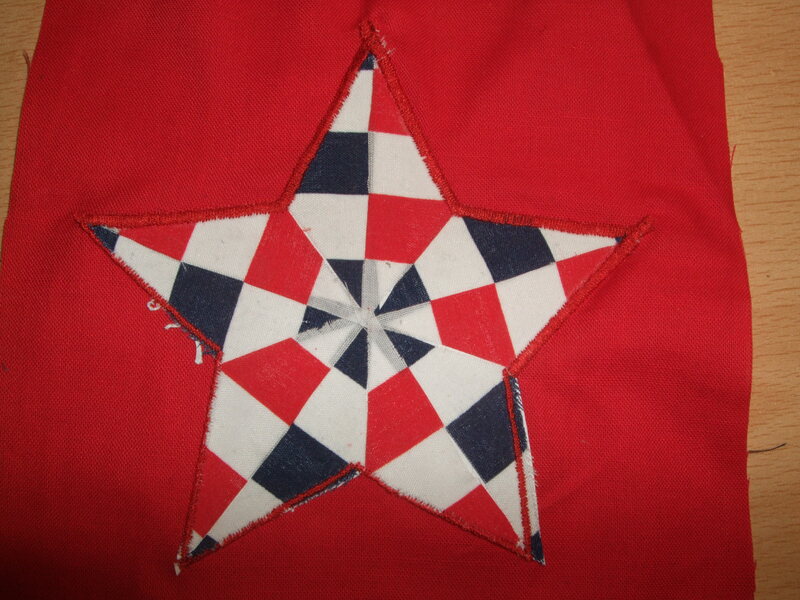 On this star I used the same width of zigzag stitch around the edge, but I think wider would be better. Hi! I am also participating in the Colette Patterns challenge! It’s going to be fun – good luck!